When the Affordable Care Act (ACA) legislation was enacted in 2010, one of its goals was to make affordable health insurance available to more Americans. 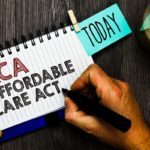 A key, but controversial, piece of the legislation was the individual mandate clause, which required virtually everyone in the country to have ACA-compliant health insurance, or else be liable to pay a tax penalty. In late 2017, the Republican-led Congress passed a comprehensive tax law which included the elimination of the individual mandate effective in 2019. Some Americans were disappointed that the individual mandate was not eliminated immediately. However, the Centers for Medicare & Medicaid Services (CMS) recently released new hardship exemptions which will help millions of Americans avoid the penalty for not having ACA-qualified health insurance coverage this year. These exemptions enable qualifying individuals who are uninsured to choose health insurance options such as short term medical, limited duration health plans, which are typically more affordable than marketplace exchange coverage. 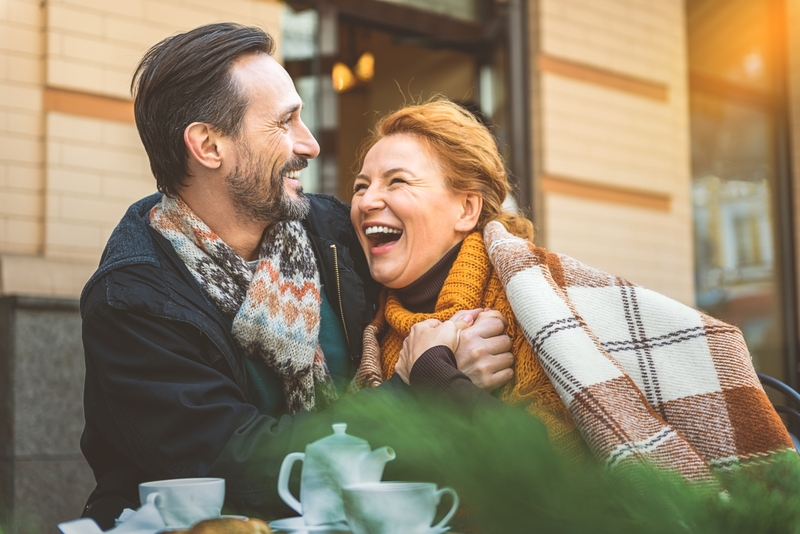 Short term health insurance can be a smart choice if you’re in good health, and simply need coverage on a temporary basis until you have the opportunity to enroll in a more permanent insurance solution. Experience “personal circumstances” that make it difficult for you to purchase a plan on the exchange, such as not being able to find a plan in your area which provides you access to specialty care you need. It’s not certain just how many Americans will take advantage of the new exemptions. To date, there have been no “bare” counties (counties which have no marketplace plan options). However, since 2016, there has been a growing trend of insurers leaving the marketplace exchanges. According to the Kaiser Family Foundation, 7 percent of all counties had only one insurer participating in their marketplace exchange in 2016. By the following year, nearly one-third (32.8 percent) of all counties had only one insurer option. And in 2018, more than half of all counties – home to about 26 percent of the 9 million marketplace enrollees – have just one insurer offering plans on their marketplace exchange. Residents of those counties who don’t have ACA-qualified health insurance will be eligible to claim a hardship exemption and pay no tax penalty if they choose. Choice of deductible, copayment and coinsurance amounts – consider your health insurance needs and budget, and decide on the amounts that work best for you. Coverage duration – choose how long you need insurance protection…anywhere from one month up to nearly a year. Some states even allow you to apply for and purchase up to four short term health back-to-back certificates at one time, extending your coverage to almost two years, with no need to re-qualify at any point during your coverage period. Networks – visit any providers you want with no restrictions, which is a key advantage over marketplace exchange plans, many of which require participants to choose providers from a limited network. Coverage start date – enroll in a short term medical plan at any time of the year; there’s no need to wait until the annual open enrollment period, or be required to experience a life-changing event to qualify for a special enrollment period. After your application for short term health insurance is approved, you can usually select a coverage start date as soon as within 24 hours of applying. Some plans even offer a 10-day “free look” period, which means that if you purchase a plan and cancel within the first 10 days, you’ll receive a full refund of your premiums as long as you haven’t filed any claims. 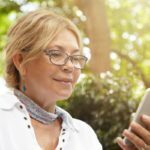 Plan features – consider the premium amount you can afford and the benefit levels you need, then select additional benefits, such as prescription drug coverage, low out-of-pocket maximums, and even extra non-insurance savings such as access to vision benefits and telemedicine consultations. Short term health insurance is not regulated by the ACA, and therefore it is not required to provide the 10 essential benefits that all ACA-compliant plans must offer. This plan design helps keep premium rates lower. You will be asked to complete a brief medical history when you apply for short term medical. The process is quick and easy and you can apply right from your cell phone or laptop. Usually, you find out in just a few minutes if you have been approved for coverage. Coverage costs for short term health insurance plans are typically significantly lower than costs for marketplace exchange plans. In fact, young, healthy adults might find their short term medical plan premiums run 50% less per month, based on their age, state of residence and the plan features they choose – which is a small price to pay for financial protection against costly medical emergencies. This is especially good news for healthy individuals searching for affordable health care coverage. Premiums for marketplace exchange coverage have continued to spike each year since the ACA was passed. Figures show that from 2013-2017, premium increases averaged about 60 percent, and from 2017 to 2018 alone, the national average increase for the lowest-priced marketplace silver plans was 32 percent. Even more troubling is a new report by California’s insurance marketplace. It forecasts that significant premium hikes are in store for marketplace exchange plans. 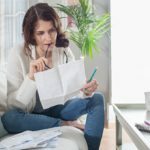 Seventeen southern and midwestern states are predicted to see premium increases up to 90 percent over the next three years, and an additional 19 states throughout the country are forecasted to experience premium adjustments up to 50 percent. One of the reasons cited for the possible premium increases is a series of changes passed by Congress to the ACA legislation, such as offering exemptions from having qualified health insurance, and the planned elimination of the individual mandate in 2019. During the 2017 tax filing season, nearly 11 million tax returns claimed an exemption from the requirement to have health care coverage. Experts are concerned that when the individual mandate is fully repealed in 2019, additional young and healthy individuals may exit the marketplace exchange to buy alternative insurance options, or forgo health care coverage altogether. It’s possible that even people with medical needs may not feel a sense of urgency to enroll in coverage if the tax penalty is eliminated. The Congressional Budget Office (CBO) estimates that up to 13 million fewer people might be insured by 2027 once the individual mandate is repealed. Another potential reason for rising premiums centers around actions taken by the current government administration to support the expansion of association health and short term medical, limited duration plans, which are affordable, attractive coverage options for healthier individuals. Coupled with decreased marketing and enrollment outreach efforts, there is an increasingly disproportionate number of older, sicker individuals remaining enrolled in the marketplace exchanges, resulting in rapidly rising marketplace plan premium costs. Overall, many individuals are relieved to have an option of avoiding paying the tax penalty for not having ACA-qualified health insurance coverage for 2018. Additionally, the new CMS hardship exemptions are retroactive for the past few years. This means that if you paid a penalty for not having ACA-compliant health insurance plan in tax years 2016 or 2017, and you would have qualified for a hardship exemption had the new guidelines been in effect at that time, you may now file an amended tax return to receive a refund of the tax penalties you paid. For specific details, consult your tax advisor or review details about filing an amended return with the Internal Revenue Service. If you’re young, healthy and rarely visit the doctor, and you qualify for one of the new hardship exemptions, you might be wondering why you should even bother purchasing health insurance. But let’s face it – life is filled with unexpected challenges, and you don’t want to find yourself facing a costly medical illness or injury with the financial protection health care coverage can offer you. For as little as a few dollars a day for a short term medical plan, you can have peace of mind knowing that you have coverage in case of a medical catastrophe.